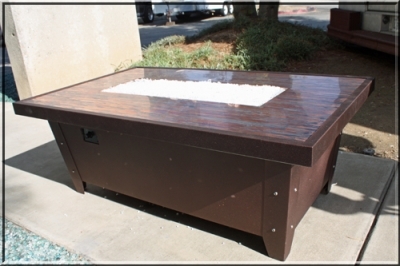 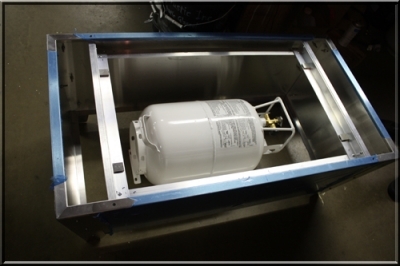 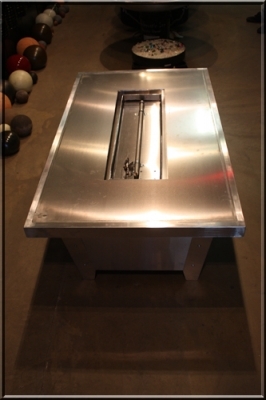 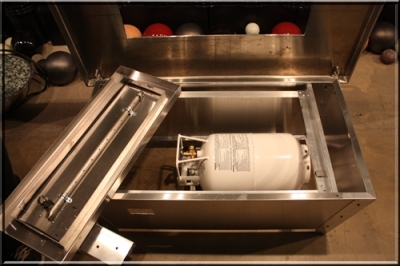 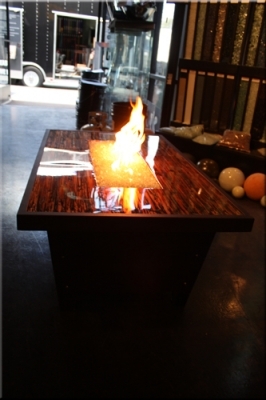 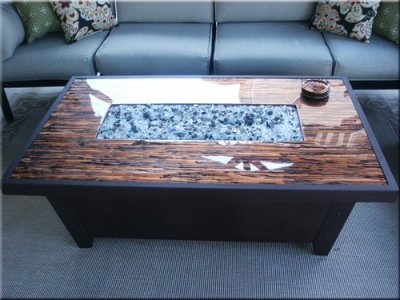 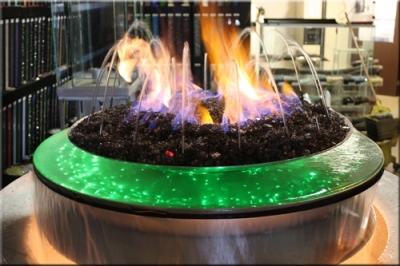 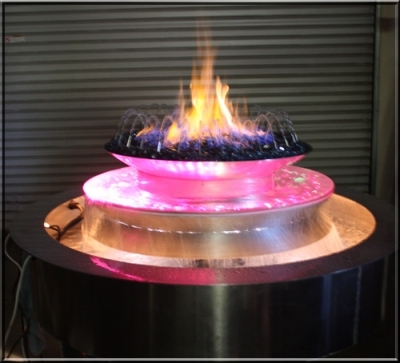 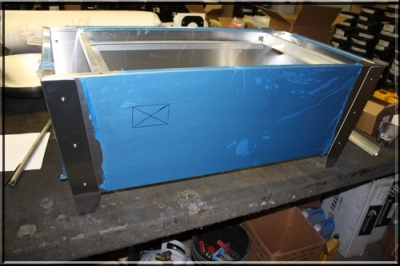 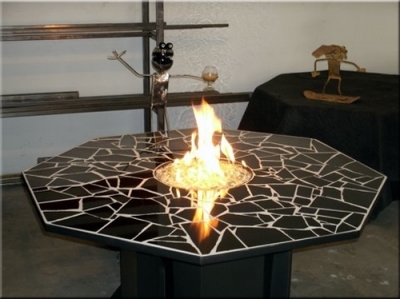 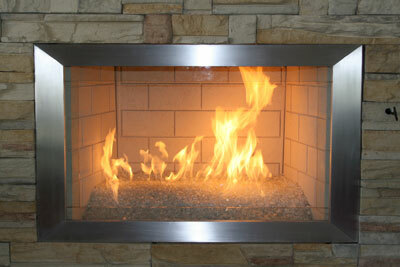 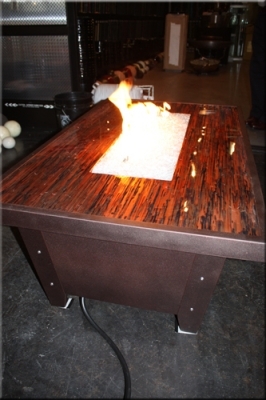 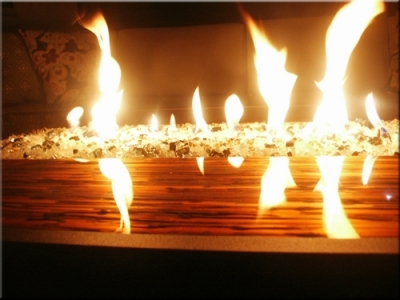 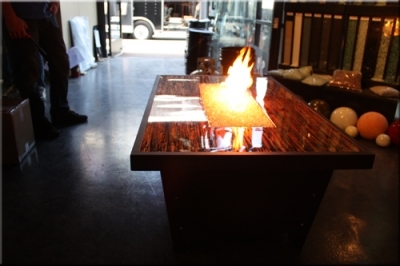 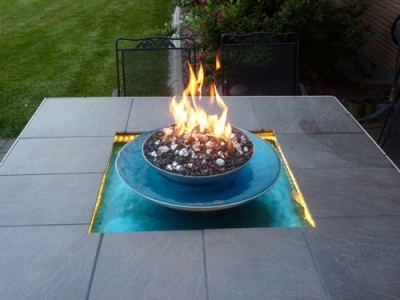 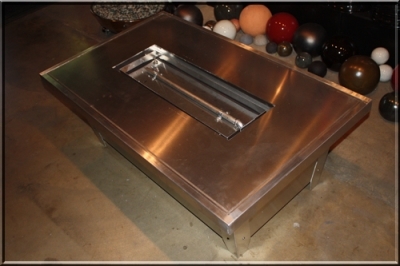 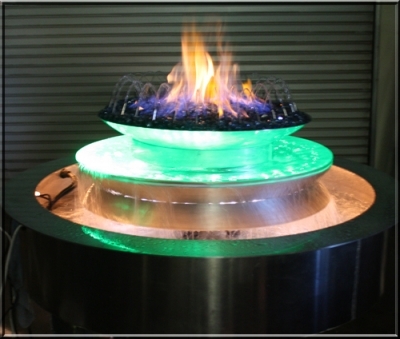 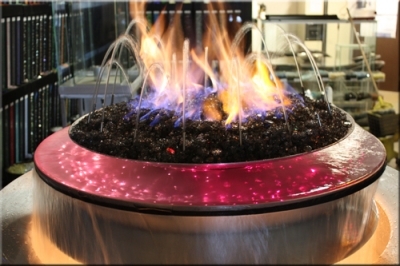 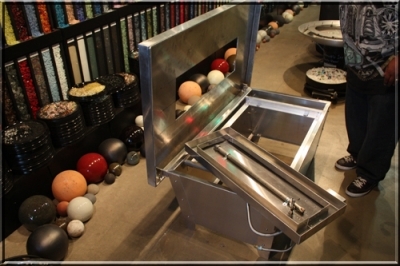 This portable propane fire table, was designed to house the propane tank, keeping the often intrusive tank out of sight. 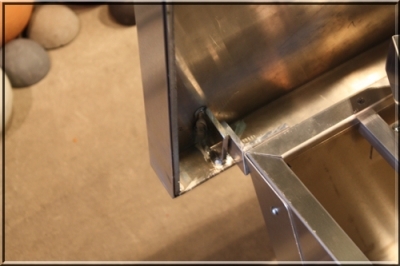 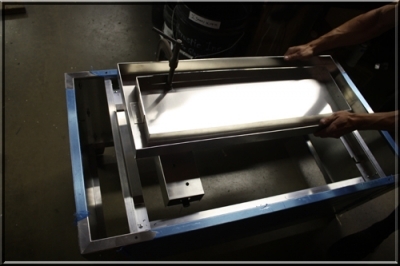 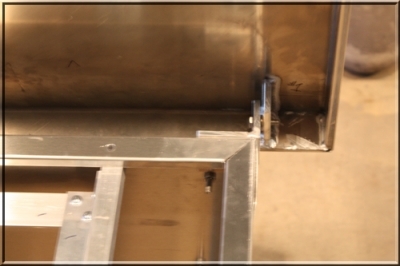 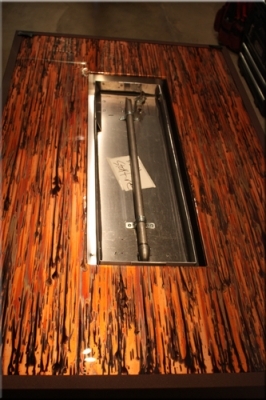 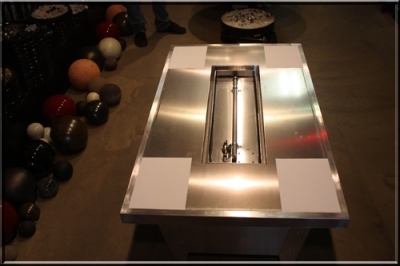 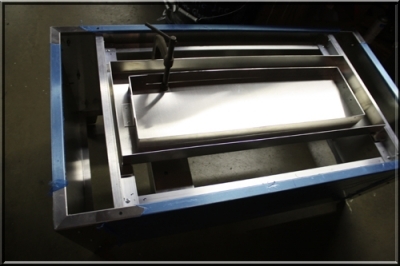 Here the top of table is in place, with a single stainless steel burner pipe. 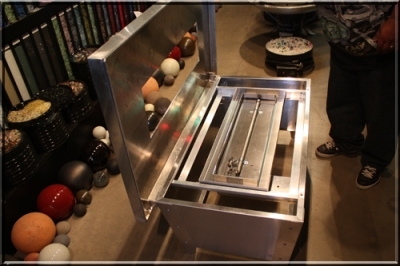 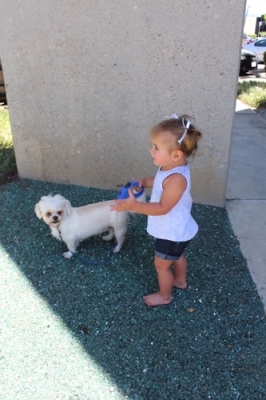 Here you can clearly see how easy it is to gain access to the tank. 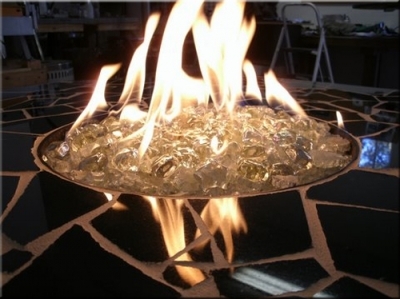 Making it very straightforward to replace and maintain the fire table. 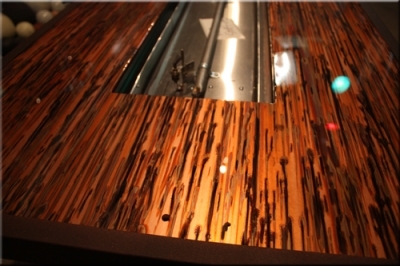 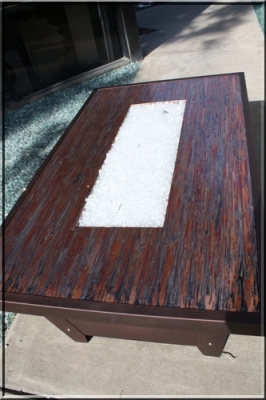 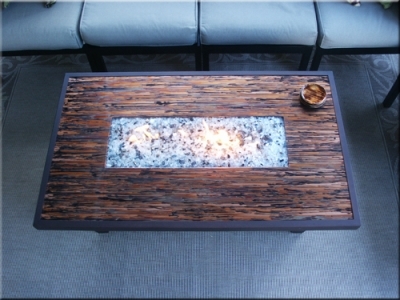 Here the fire table has been powder coated and an acid wash applied to the top of the table. 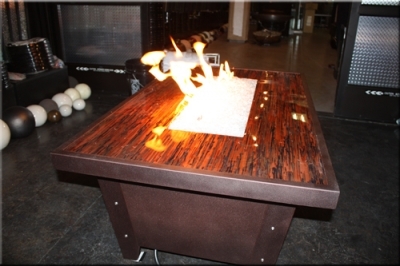 Motivated by aesthetics from beginning to end, the table was a great success. 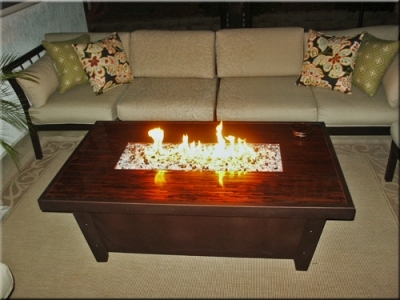 Where very proud of our "Little Fire Table" and Dave was just thrilled when he received it. 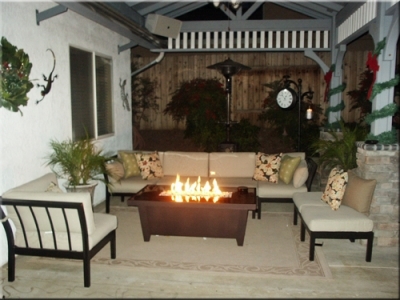 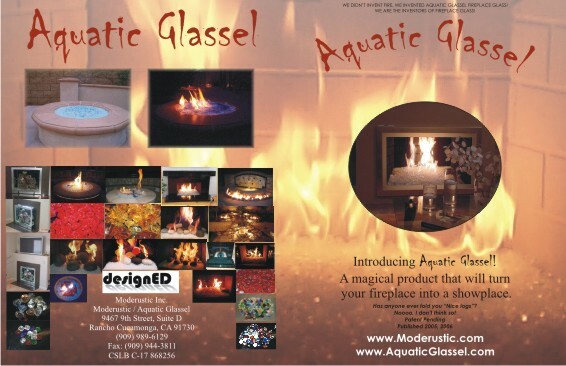 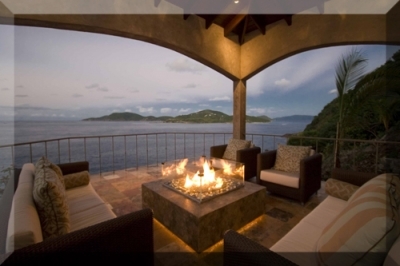 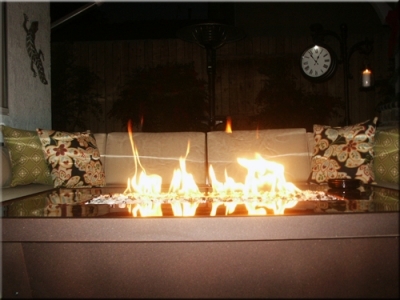 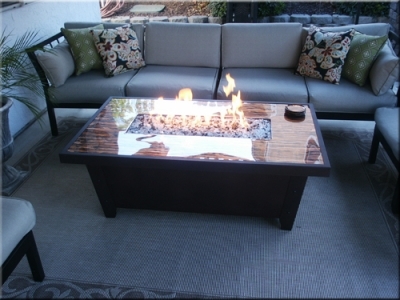 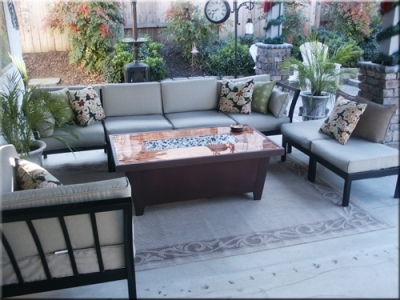 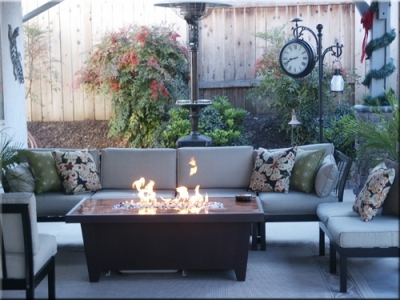 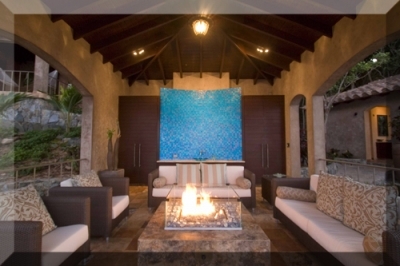 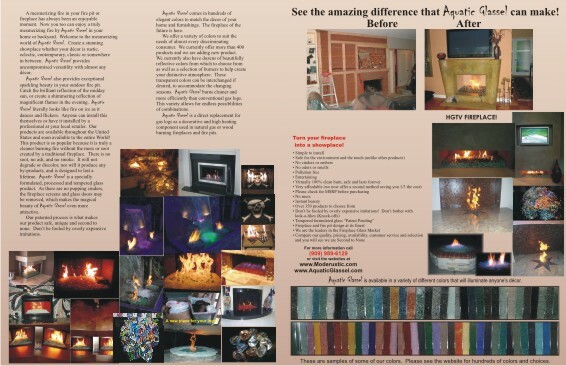 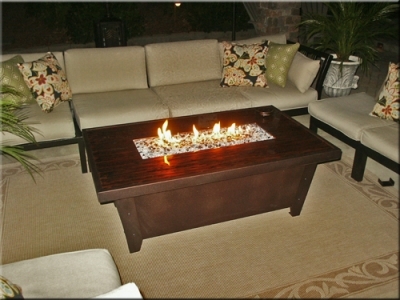 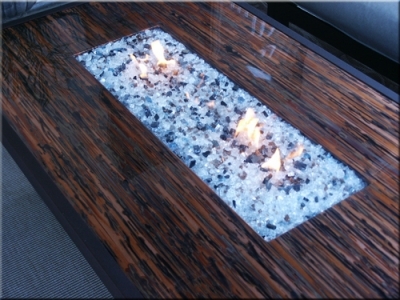 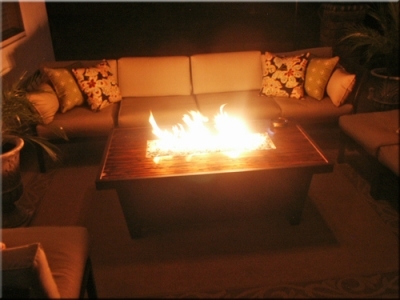 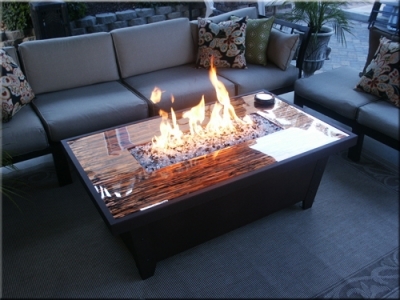 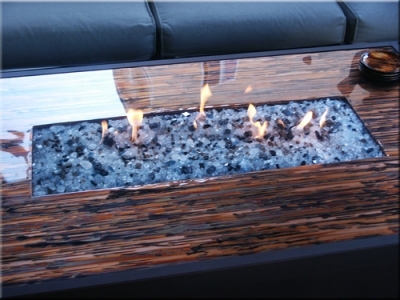 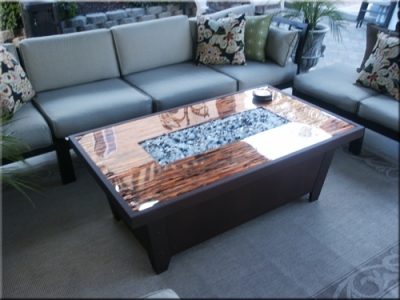 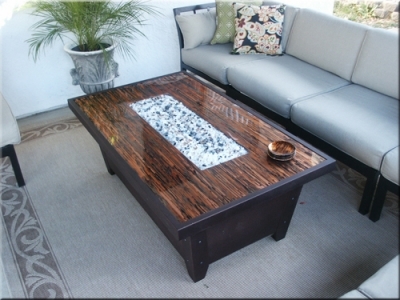 Here are the pictures that David sent us, the fire-table looks perfect in his elegant but cozy backyard patio.